As we march ever closer towards Christmas, the chilly weather and dark nights are the perfect time for snuggling up warm at home and thinking about next summer in Ibiza! So we’ve put together a sunshine drenched collection for you this week, spanning the east coast of Figueretas and Playa d’en Bossa, to the northern port of San Miguel. All the featured hotels and apartments have special offers for those booking early for the 2015 Ibiza season. So without further ado ladies and gents, feast your eyes on some of the best deals around right now. These homely apartments have a kitchenette with unpretentious self catering facilities. The wide, spacious balconies, most of which have sea views, are well equipped with table, chairs and loungers for private lounging and al fresco dining. The transport links to San Miguel are good, with connecting buses from right outside your apartment to both Santa Eulalia and Ibiza Town. There are plenty of watersports on the beautiful beach too, wonderfully located right on your doorstep. One of the island’s finest seafood restaurants, Port Balanzat is equally close and the nearby village of San Miguel is utterly charming. The perfect family getaway. Example: A one week stay, from June 20th – 27th for 2 x adults and 2 x children, fully inclusive of all meals, drinks and entertainment costs a total of €848.30. At the current rate of exchange, that’s less than £670 GBP. That’s less than £168 each, fully inclusive!! For more info, photos and quick, online booking click here. Fab, sea-front apartments with spectacular views of Figueretas beach that combine the freedom of a self-catering break with the facilities of a 3 star hotel. You can expect a daily maid service, 24 hour reception plus a bar and restaurant serving snacks, meals and drinks all day long. All facilities in the neighbouring Ibiza Playa and Figueretas hotels are also at your disposal, including a gym and squash courts for the active types! These comfortable studios and apartments come with with air-conditioning and what’s more, most of these have lovely sea views and a private balcony. Figueretas itself is a great location. Right in the middle of Playa d’en Bossa and Ibiza Town, you’re within walking distance to both. That means close proximity to both the World Heritage site of Dalt Vila and some of the island’s most legendary nightlife, includingSpace, Pacha, Ushuaïa, Hard Rock and Sankeys. Perfect for perhaps the more mature clubber planning a visit around the 2015 opening parties. Example: A one week stay, from June 20th – 27th for 3 x guests (all adults or adults and children) accommodation only costs a total of €714. At the current rate of exchange that’s less than £565 GBP. That’s less than £190 each. These two 4 star hotels are really very special. The gorgeous sun terrace located right on the beach has fabulous sea views, 2 large pools, jacuzzis, poolside bars and games. Our cover photo in fact, shows the view from this hotel. There are a range of excellent sports facilities and entertainment by day and night. The unspeakably lush Vital Spa has a large, heated indoor pool and whirlpool, a sauna, showers and a range of delicious massage and beauty treatments to make you feel fantastic. All rooms are modern and stylish with comfortable large beds, but our featured offer today is for the fabulously luxurious premium double rooms boasting magnificent full frontal sea views, a play-station 3 with blue-ray, adjustable lighting and the absolute decadence of an in-room jacuzzi. This, ladies and gentlemen, is the opportunity for complete indulgence. Playa d’en Bossa itself is absolutely full of things to do. Aside from being the longest, liveliest beach on the island, it’s home to a huge array of bars, restaurants and of course, clubs. The stunning nature reserve of Salinas is a few minutes to the south and a few minutes to the north lies cultured, cosmopolitan Ibiza Town. Offer – early booking 2015. 15% discount for all bookings made before 15th January 2015. Example: A one week stay, from June 20th – 27th for 2 x adults in a premium double room with bed and breakfast costs a total of €1,395.70. At the current rate of exchange that’s less than £1,101.25 GBP. That’s less than £560 each. We hope you just found your perfect Ibiza destination for 2015 ladies and gents and that you throw caution merrily to the wind and go ahead and grab yourself a nice, juicy early-bird discount on next year’s inevitable pilgrimage. See you then, Ibiza lovers! Steve Aoki is known for his big club anthems and throwing cake on his fans, but it appears he will be trying out a new style in an upcoming project. 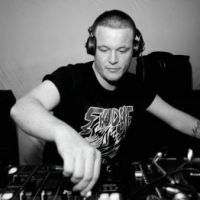 He revealed to MixMag that he has started working on deep house tracks, though he won’t be releasing them under his own name. He told them he became inspired to move into house music after playing Cafe Mambo in Ibiza this summer. Under his own name, Aoki recently released Neon Future 1, the first part of his two-part album, via Ultra Music/Dim Mak. It is the DJ/producer’s second studio album. The second part of the album is scheduled to drop in the winter of 2015. Part one contains more party-themed/club-style songs while part two is said to have a darker, more emotional vibe. In an interview with Billboard, Aoki described what the phrase “Neon Future” means for him. Would you like to see deep house from Aoki? Sound off in the comments section below! It is no exaggeration to say that when Pacha Ibiza Dubai opens its doors for the first time this weekend, it will be one of the country’s most anticipated new venue launches. More than a year after it was announced that the iconic clubbing brand would be coming to the UAE, Pacha will finally open to the public on Friday – and we were given a sneak peek inside. It is based in the Souk Madinat space formerly occupied by Trilogy – but if you were familiar with that long-running superclub you will find it completely transformed. The circular central dance floor remains, thankfully, but earlier in the evening you can expect to see the space lined with dinner tables. While dancers strut on the floor and aerial artists float overhead, the kitchen will serve up a pan-Asian menu, offering the kind of dinner-and-a-show concept found at The Act. When I popped in for a pre-opening night preview, there was an engaging series of short shows, carefully choreographed brief routines performed by a revolving collective of 10 performers swirling on a raised stage, jutting from platforms and descending daringly from the sky. Impressive stuff for sure, but unlikely to raise the eyebrows of anyone familiar with the Ibiza venue’s hard-partying home. The room itself has been overhauled dramatically, mixing elements of Ibiza-esque whitewash with shiny metallic surfaces, and huge bubble-like columns rising to the ceiling. A day earlier, the club’s general manager, Todd Lunger, took me on an exclusive tour, while pockets of the club’s 170 staff zipped around anxiously applying finishing touches ahead of the private launch. “We’ve created a new idea of what Pacha can be,” explained the 32-year-old Las Vegas native. Most of the remaining ground floor is set aside for VIP tables, as is the upper balcony level, where a lounge-like concept spreads around a central shaft overlooking the stage. There are 52 VIP tables – about “a 50/50 split” with regular guests – typically starting from a minimum spend of Dh5,000 for six people. The best tables overlooking the stage can command prices of upwards of Dh30,000, depending on the night, with big spenders also invited to use a VIP-only lift, bar and toilets. The entertainment normally wraps up at about midnight on the weekends, after which the main room will be transformed into one of the three clubbing spaces. Todd explains this dance floor will be “more on the commercial side” of the music spectrum, with a range of new residents flown in from abroad, all overseen by entertainment director and Dubai mainstay Pierre Ravan. 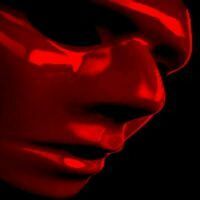 More eclectic clubbers are likely to enjoy The Red Room. While silent on our preview, the theatrically decorated space in what used to be Trilogy’s Studio Room promises to offer a disco and nu-disco soundtrack. However, in winter months, it’s likely to be The Rooftop that attracts most party people, with a focus on the deep house for which the brand earned its reputation. Another spot that will be familiar to Trilogy visitors, the roof’s unique selling point – views, space and air – remains unchanged, but some cosmetic improvements such as a new bar and DJ booth are welcome. Mixing elements of a restaurant concept, live show, VIP lounge and a clubbing space with three distinct music policies – and with a huge capacity of close to 2,000 – Pacha Ibiza Dubai will clearly be a major player on the UAE nightlife scene. While its heavy emphasis on VIPs, dining and acrobats may alienate some of the more serious music fans who counted themselves as Trilogy regulars, as an all-encompassing new show-stopper, Pacha is ticking an impressive array of boxes – and is very distinctly “Dubai”. But as with any venue, it will really be the crowd who really decides what it wants from Pacha. 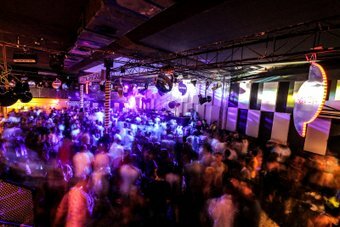 Every New Year’s Day, Space Ibiza starts the year with a trip to Sydney. On January 1, The Greenwood Hotel becomes the site of Space Ibiza NYD, one boutique event you can count on delivering an all-quality line-up, year on year. So it shouldn’t come as any surprise that Space Ibiza NYD have locked in one of electronic music’s greats to headline their 2015 party. House legend Derrick Carter leads next year’s line-up, joined by Funk D’Void, Oliver Koletski, Javi Bora and balearic house pioneer Alfredo, plus a string of dependable locals. Tickets will set you back $89; scroll down to see the full bill. This year’s season review comes right in the middle of the closing party period. This means people coming for the last 10 days of Ibiza summer clubbing 2014 can still benefit from this read and are perfectly up to date with ‘Ibiza 2014’, even before they arrive. As always it is an extensive article that has turned into an extra long piece this time around, so we’ve cut it into two nice slices for easy digestion. Part one today, part two will be published tomorrow. If you’re as crazy about Ibiza as we are, you’ll surely find a few interesting points here… take your time and enjoy. OK, first things first. What we’ve heard a lot this season, especially in the first half of the summer, was this: ‘it’s not as busy as it used to be’. It was a much-discussed subject in our forums, but let me give you a quick recap with a few facts. 1. Even though September numbers are not yet in, one thing is already clear. Ibiza has never seen as many arrivals before – it’s the busiest summer the island’s ever seen overall. Each month of the summer so far (including August that is) the airport reported higher arrival numbers than the previous year. Ibiza over? Yeah right. 3. For a while already, Ibiza is experiencing an upmarket trend. You may like it or not, but it’s simply the truth. I’m not a huge fan of this myself, but had to accept it. This obviously affects a lot of businesses – a lot of them in a good way, but others in a bad one. It also affects the accommodation sector heavily on a number of different factors. On one hand, more and more people book villas (always rent officially and avoid issues by the way, read this) and therefore some of the hotels might suffer. At the same time, some hotels have gone up in price considerably without actually improving anything – come on guys, you’ll need to do your part to contribute to the improvement of the touristic services too! 4. The prices for a lot of things are very high – simple as. And we do have to accept the fact that for some clientele, it’s become too expensive. 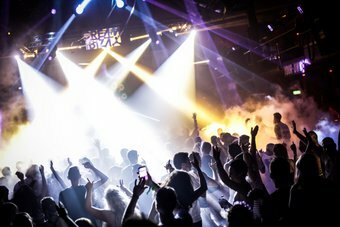 Let’s not start the Ibiza Vs Croatia talk now (read HERE and HERE, that’s covered already), but owners of hotels, restaurants and clubs have to realise that there are alternatives to Ibiza – even if they’re never as good as the white isle. So, even though Ibiza as a whole really thrives year on year, I do think that a chunk of the low end tourists (strictly financially speaking only!) are missing. Also read the ‘VIPs Vs. ravers’ chapter, coming out in part II of this season review tomorrow. Now let’s take a walk through clubland Ibiza 2014 and see how all the venues with their promoters performed. The San Rafael club had another very good summer overall as expected. For a few years already Amnesia has a combination of nights which cater for all tastes and have some of the world’s finest DJs playing almost every night of the season. Cocoon on Monday nights. This summer it was all 15 ♥︎. Fifteen years of love for Cocoon, but also 15:00 (as in Tennis) for always being one step ahead. Both rooms were perfectly busy without being super packed and the music and the atmosphere were both brilliant on most nights. Can’t wait for the Cocoon closing party tonight (+afters tomorrow)! More on Cocoon in part II tomorrow. Together on Tuesdays had easily their best season ever. Securing Chase & Status as their weekly residents was a big coup and apart from the duo, their line-ups were generally very strong and the night’s programming covered a lot of bases in terms of musical tastes: bass in the Main Room, anything from electro house / EDM, tech house, more bass and even dubstep on the Terrace. A very strong night on a very consistent level! La Troya / Foam Party / Paris Hilton’s Foam & Diamonds on Wednesday nights. La Troya on the terrace is a classic for the gay sector and keeps on giving. You’re missing out on some of the best shows if you’ve never been so far! On the other hand, Paris’ August residency in the main room was unsurprisingly talk of the town (err, island) again and did pull the numbers. And yes, we can confirm she did actually DJ (apart from checking her make up every 5 mins)… sort of. 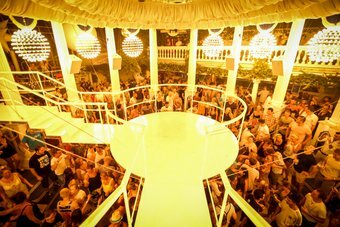 Cream on Thursdays – in their 20th season on the white isle, the Liverpudlian brand had another very successful summer, team Cream had done their homework well. It was not a record breaking season for them, but there are a few factors for that. One, Cream has never before faced that much competiton in the electro house / EDM field. 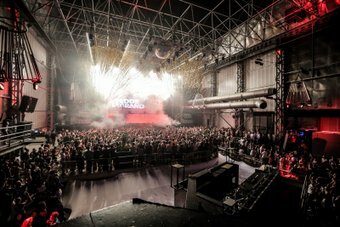 Even at their Ibiza home, Amnesia, there was a new party this year which was pretty similar (Sundays, read on for that), presenting trance in the Main Room and electro house (EDM) on the Terrace. Two, simply not all trance fans could afford to do the ‘super trance Thursday’, meaning doing ASOT at Ushuaïa first and then continue at Cream at Amnesia. Generally, I think it helped neither of said promoters to do those similar events on the same day. Read more about Cream in part two of the season review tomorrow. Music On on Fridays was easily Amnesia’s busiest night of the week this year. 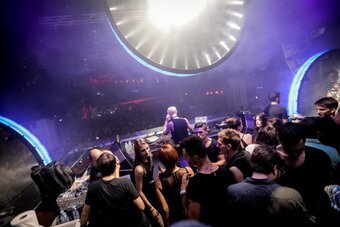 Apart from being the night with the biggest hype this summer, Marco Carola’s fanbase is extremely loyal, which guaranteed a packed terrace each and every Friday night (and even more so on Saturday mornings). And in the third Music On season the main room finally got properly working, mostly thanks to Joseph Capriati, who has developed into something of a Music On main room hero. The closing party just this weekend was absolutely rammed until the Music eventually went Off shortly before 12 noon. 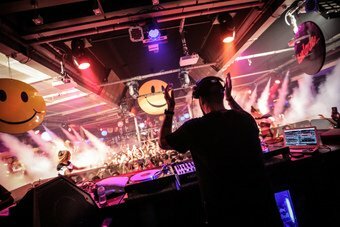 Rumours about Carola leaving Amnesia should be treated with caution – I’m pretty convinced Music On will continue at the same club and on the same night. Matinée on Saturdays is similar to La Troya on Wednesdays. 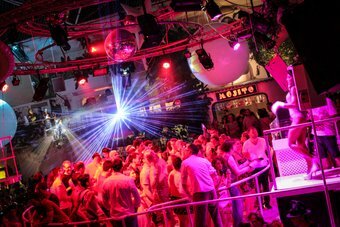 A classic Ibiza night out, a fixture in the gay clubbing week and, as it’s on a Saturday, also very popular with the young locals just getting into the island’s nightlife. Amnesia Presents was the only new venture at the club this summer and at the same time it was one of the surprises of the season. While the trancey main room (hosted byMarkus Schulz) wasn’t always busy enough, the EDM-focused terrace (with weekly headliners Dimitri Vegas & Like Mike) was a huge success and in the words of Amnesia’s musical director – a night with more potential for the future. Amnesia closes on Saturday night 4th October, but it’s not just a night time affair, it’s normally a 18 hour marathon, so pace yourselves! The line-up is excellent (Maceo Plex, Seth Troxler, Luciano, Villalobos…just to name a few) – see you on the terrace for a Sunday morning breakfast meeting! The outdoor venue a few minutes outside of San Antonio had a very interesting 2014 season with a lot of changes. First and foremost – a new name. Gone is ‘Gala Night’, as from now it’s Benimussa Park. The only thing that didn’t change for them this summer was the ever-triumphant The Zoo Project on Saturdays, though even this got a kooky make-over, expanding the range of entertainment and activities. Even though the formula isn’t a new one anymore, combining fun elements (fancy dress, acrobatics, interactive hippy dance circles and A LOT of bodypaintings) with quality music, this daytime rave keeps on giving. And everyone thinking ZP is just about silly fun needs to check their line-ups: Maribou State? Margaret Dygas? Terry Francis? La Fleur? Ralph Lawson? Makam? Monika Kruse? All of them played at Benimussa Park this summer – and that was just a small choice of brilliant artists. More changes came in form of the cancellation of Channel Zoo and the birth of HOLI Festival Ibiza. I think that with the huge number of underground parties now happening on the island, it got more and more difficult for the promoter to get the artists for Channel Zoo and at the same time it was of course also very important to keep their trump card, the aforementioned Zoo Project, as an event with a top notch line up. So gone was Channel Zoo and in came the Ibicenco version of the Holi festival of colours. A super fun event, this party had an OK first season and has an immense potential for the future. Other than that, there were two other promoters doing parties at Benimussa Park this summer. The Quarry was a party that unfortunately only lasted a few dates – it simply didn’t get the numbers in. And then the guys behind the Driftwood boat parties (and Sunk at Privilege) did their two yearly trance events too: the Captured Festival at the start of September, which was part of the Island Of Trance week and perfectly busy, and its warm up in June, which was quieter. Monday was Mark Knight’s Toolroom Knights residency. After original plans to hold this night at Gatecrasher had failed, it was not until mid-July before Toolroom Knights kicked off at Booom. Considering running on one of the most difficult nights of the week, Toolroom Knights had an alright first season at Booom. Of course there were some dates that were a bit too much on the quiet side of things, but I guess with having the whole pre-season to promote the night, next season could work out a lot better. Just shows the importance of the run up to the season! Defected In The House was the only night that stuck to Booom after last season – a bold decision at the time, but in the end it was exactly the right thing to do! Almost every Tuesday was a sell out over the full season and DITH was easily the flagship night at Booom in 2014. If you wanted to see Booom in full swing, this was the night to go. Also, the Defected crew has its finger firmly on the musical pulse currently and the punters are obviously pretty happy about that. Well done Simon Dunmore & crew. Wednesdays were all about Suara, big cat Coyu and all his dancing kitties. Similar as with Toolroom on Mondays, not every date was a blast and overall I think it was a bit less consistent than Monday nights. But it was a night with a nice spanish touch to it and I think it has potential to grow. While the club stayed closed on Thursdays, in August Friday nights were all about the long awaited return of Mike and Claire Manumission. Presenting their new‘Phantasmagoria’ concept, which included lots of different elements such as cinema, live music and DJ sets, artistic performances as well as daring shows, the couple were again the perfect hosts to the night. And while it wasn’t the biggest success on a commercial level, it was certainly one of the most interesting projects of this summer on the whole island and seeing some pretty shocked visitors during the more risque performances was totally priceless! On Saturdays, the Defected family threw a second weekly party. 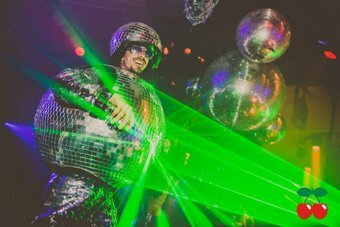 While Tuesdays musically were upfront and trendy, Glitterbox on Saturdays was the perfect antidote. Classic house and disco music, lots of hits from past decades and generally a party with the focus laid firmly on the danceflloor. My team went down a good few times and the feedback was always the same: ‘hardly ever seen more smiles on the dancefloor’.Also, in contrast to the jam-packed Tuesdays, Saturday nights were perfectly busy so you could throw some serious shapes without stepping on anyones toes…but it was still Booom’s second busiest night! Sundays was a night off at Booom. There was ‘The Love Club’ for a few weeks, but when this night didn’t pull the numbers it was decided to focus on the rest of the nights. After having seen this season, I personally think that Booom should be able to further improve for next year. With their mid-size venue (OK, more like ‘small’ if we’re talking Ibiza venue sizes), they’re the perfect haven for both new promoters that want to start a residency as well as established brands that simply know they’re unlikely to attract a 3K strong crowd week after week, but still want to have their foothold on the White Isle. The last party of 2014 summer at Booom will be Defected In The House closing party onTuesday 30th September, but the club has plans to stay open again over the winter on weekends and will also open on New Year’s Eve as far as we know. More on this soon. Both Solomun and Luciano managed to move their outdoor shenanigans over to Destino (read on for that), while Music On afters were stopped for a while. The last Music On afters then also happened at Destino instead of Cova Santa. For those that made it to one of the parties that did happen at Cova Santa this summer, I’m sure you’ll all agree – it’s a superb outdoor location and it’s a shame those issues couldn’t be solved to everyone’s satisfaction. Let’s see what the future brings. The infamous DC-10 on the road to Salinas stuck to its tried and tested formula for this summer, no changes in the programming as such. Circoloco on Mondays was as busy as ever – read the separate para about them in the anniversaries feature coming in part II tomorrow. The one main change there was the fact they opened the garden as a dancefloor for a few hours on a weekly basis to kick off their events – nice one. Then on Wednesdays, Jamie Jones’ Paradise night went on a quest this summer – and found more success than ever. The Saturday label showcases in August continued to do well, with the Innervisions and Apollonia takeovers especially popular. DC-10 closes with one huge final ‘manic Monday’ on 6th October. Be there or be square. Compared to the aforementioned Cova Santa, for Destino only the very start of the season was rough, when they had to move their opening party a month back because of still missing licences. But the Pacha group seemingly did everything exactly by the book, because after that, the Destino summer went smoothly. The Pacha resort hotel had a very good season. 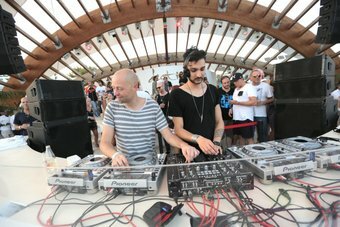 Of course they were in a lucky position when both Luciano and Solomun knocked on their doors after their Cova Santa parties had been cancelled; naturally Destino gladly accepted the two artists. Luciano & Friends and Diynamic Outdoor were two very successful and really beautiful daytime parties and this year, a lot of people made their way up to the cliffs of Cap Martinet to see the stunning venue that is Destino. The San Antonio superclub did what they have been doing for a good few years in a row now – they weren’t very spectacular in presentation, but they were consistent. While we’ve got used to the fact that their neighbours (Eden/Gatecrasher) have been trying to be successful by hook or crook, Es Paradis simply continued being who they are and banking on the nights they know work well. The Es Paradis week started with Phat Mondays first, but the promoter wasn’t happy with the result, so in came an in-house production called So Funked which followed the R’n’B route Phat Mondays had taken. Not one of Es Paradis’ strongest nights, but also a night that didn’t cost them fortunes. Tuesdays was the first of two weekly water parties (Fiesta Del Agua). A classic in the Ibiza clubbing programme, this night keeps on attracting a decent crowd. Wednesdays at Es Paradis are traditionally reserved for Ibiza Rocks’ after party. Again not a huge night, but you’d be surprised how many people do carry on there after the gigs! Thursdays were a day off for Es Paradis this year as they stayed shut for that night. Fridays however were the biggest coup for the venue this summer as Judge Julesmoved his Judgement Fridays residency over from old Eden and merged it with the second water party day. This formula worked really well and it resulted in Friday night being the club’s second busiest night. Saturdays were again all about Hed Kandi. 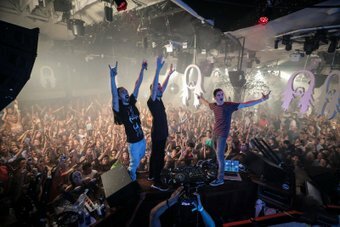 An Ibiza classic, HK maintained its title as the busiest night for the beautiful venue and also turned into San Antonio’s busiest night overall this summer! The Glow Neon Paint party was back on Sundays. 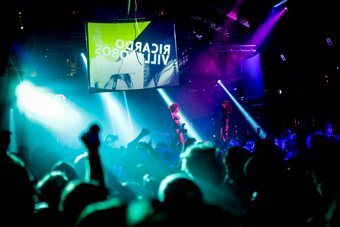 Debuting in 2013 with instant success, ‘Glow’ is now another fixture at the club and, just as the water party, it’s a night that focuses on the fun side of things and is not just serious ‘heads down underground clubbing’. A special mention goes out to the 20 year Clockwork Orange Anniversary weekender, held at the end of July this summer. The main event was held at Es Paradis on a Friday night (yeah you guessed it, water party included) and experiencing this old school vibe and music amongst people who called Ibiza their number one holiday destination in the late 90s was easily a season highlight. Es Paradis held its closing party as a collaboration with Hed Kandi and their final instalment of 2014 just this past Saturday 27th September. What a sad chapter of this summer. 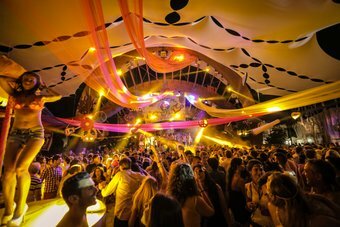 With the once leading UK dance brand Gatecrashercoming to Ibiza, hopes for an improved San Antonio nightlife were high, and for a while it looked like we’d all be in for a good run there. The original weekly line-up went like this: Crasher on Mondays – a home made trance night (after they couldn’t get to an agreement with Toolroom Knights). Then London’s underground label Crèche on Tuesdays, Garlands Bed-Lam on Wednesdays, Mistajam’s Speakerbox on Thursdays, El Carnaval on Fridays (a collab with Size Records), Kisstory on Saturdays and Gatecrasher Presents (EDM-laden) on a few Sundays. The latest news on this is that the venue’s owner wants to bring Eden back for 2015 and at the same time will file a petition against GC and its latest manager, read the storyhere. We at Ibiza Spotlight supported Gatecrasher from day one onwards (just the same as we supported the new Eden owners last year) as we saw the necessity of a strong brand in San Antonio. It’s really sad to see the project was run with so little professionalism. 9 seasons of live rock in Ibiza, brought to everyone by Ibiza Rocks. For the 2014 season they continued the two-event weeks at their hotel, but were also very active elsewhere. Let’s start at their homebase, the Ibiza Rocks Hotel. Ibiza Rocks on Wednesday evenings was and always wil be the linchpin of the group. This summer, quite a lot of bands from earlier years came back to the island: Kaiser Chiefs, Kooks, Tinie Tempah, Jake Bugg and Bombay Bicycle Club all had seen the IR stage before, but also a few new hot names such as Swim Deep, Dan Croll and Ella Eyre were presented. 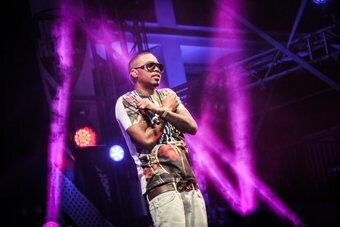 A special mention goes to the NAS Illmatic show at the start of July – definitely a highlight of the summer and representative of a small but marked boost this year to Ibiza’s fledgling hip hop scene. W.A.R. on Fridays have had their best season so far – unsurprising if you see who graced the stage and the decks this summer: lots of Example & DJ Wire dates, Gorgon City, Fatboy Slim, 2manyDJs, Route94, Mark Ronson & Zane Lowe, DJ EZ… there was a huge effort on artist bookings, rewarded with a great turnout! As an alternative after party to Es Paradis on Wednesdays, punters also went on to Ibiza Rocks House (a.k.a. Pikes) as an alternative. The lovely countryside hotel outside San Antonio has had an extremely busy summer with lots of events of all sorts, including anIdris Elba residency with a few proper big guests. In comparison to earlier years, Pikes saw at least double the amount of parties this year – it’s been programmed and advertised almost like a normal venue this summer. And as much as I love Pikes (actually because I do), I think a bit less would be more. The unique crowd that Pikes attracted will be lost if the parties are too openly advertised. Last, but not least, team Ibiza Rocks went into a collab with the cherries over in Ibiza town and brought their Ibiza Rocks House festivities to Pacha on Monday nights – more on this in a bit when we speak about Pacha. While the regular Wednesday and Friday gigs at the Ibiza Rocks Hotel are already over for this year, there is a late-season add on in the form of The Brand New Heavies which will play at the hotel during the San Antonio October Festival on 10th October. 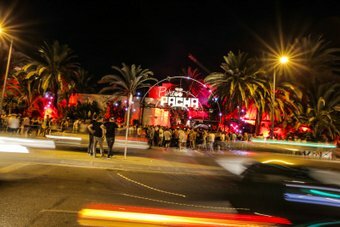 Apart from that, the club night at Pacha is still running until 6th October. Pikes is normally also a hot tip for some great end of season shenanigans…and let’s not forget about their legendary Halloween party at the end of October! Ibiza Rocks will celebrate a 10 year anniversary next summer – I think that’s something we can really look forward to! The only proper daytime party place on the San Antonio side of the island had an excellent summer. For many a holidaymaker residing in the area, at least one visit toOcean Beach during the stay has sort of become a must-do, as used to be the case a few years ago with Bora Bora for anyone vacationing in Playa d’en Bossa. PdB now boasts many venues similar to Bora Bora, but in San An Ocean Beach remains peerless. 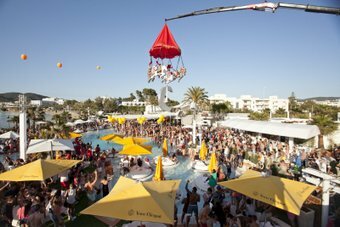 Most of their weekly events were working on a very good level with Mondays (Hed Kandi Beach House) and Fridays (Ocean Pool Party) the busiest days of the week. As for one-offs, highlights this summer were their 2nd birthday party at the end of June, Colours’ Ibiza Sessions with Eddie Halliwell in mid-July, History of House Music in mid-August, and Emerging Ibiza’s End of Year Finale mid-September. 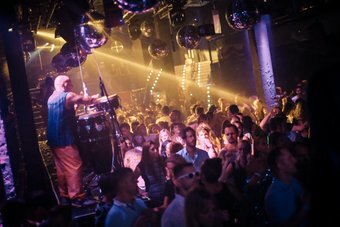 If you’re not a total Ibiza newbie, you will have heard that Pacha experienced quite a big change in their musical direction and programming for the 2013 season. You can read all about it HERE. For the 2014 season the team behind Pacha fine-tuned this new musical direction on one hand and changed those nights that didn’t work last year. Generally, Pacha had one of its best seasons ever in 2014, and you could clearly see those details that have been changed did make a difference. The new collaboration with team Ibiza Rocks and presenting Ibiza Rocks House at Pacha on Mondays was a very refreshing idea and a much better approach than last year’s Epica. Overall numbers were OK, but unfortunately not very consistent, with some dates very busy and others too quiet. I’ve mentioned it before – Mondays in Ibiza are a difficult night if you haven’t got a party that’s been established for years already. Also, this night didn’t bring a lot of VIP reservations, so I’m not a 100% sure it’s going to continue next year, though it really was a lovely night. Little has to be said about Flower Power on Tuesdays – it’s an evergreen that works like clockwork. Flower Power also won the ‘best Ibiza party’ award at the DJ awards a week ago – testament to their longevity (Flower Power is the longest running party in Ibiza). What I can add is that the one-off Flower Power they did at Destino on 8th August was one of the most beautiful events I’ve seen this year. 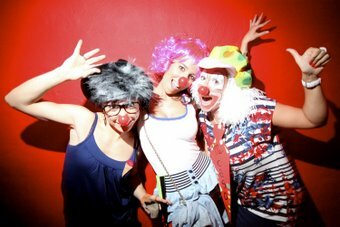 The second novelty of the Pacha summer was Steve Aoki’s new residency, Aoki’s Playhouse. Replacing Guy Gerber’s Wisdom Of The Glove night (which sadly didn’t bring the required numbers last year), this party was one of the successes of the summer, especially considering it was Aoki’s debut residency on the island. 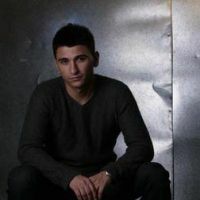 It was also a proof that electro house / EDM is currently the style that moves the masses – especially the younger crowd. Thursdays was all about David Guetta’s F*** Me I’m Famous – no changes there and a packed Pacha practically every Thursday night for 20 weeks in a row. With so many new artists surfacing now, it will be interesting to how many more seasons Guetta will be able to hold two residencies on the island. Numbers were just a tad down compared to last year at FMIF so let’s see for how much longer there will be two weekly Guetta nights. But don’t get me wrong – Thursday night was still Pacha’s biggest night! Insane, one of the new parties last year, kept its Friday night slot and improved for this summer. The main upgrade was the enhancement of the resident DJ factor for the night – while last year it was all about John Digweed and/or Fritz Kalkbrenner (plus guests, but not always the biggest ones), this year Insane presented a pretty high-calibre artist roster on rotation. 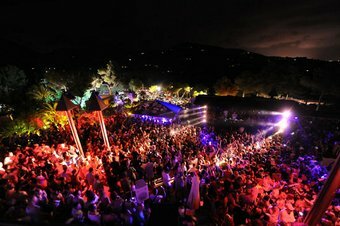 Digweed, MK, Dennis Ferrer, Tensnake, DJ Sneak and Reboot all played multiple times and assured a steady musical quality and line throughout the summer. On most Friday nights Pacha was very busy (and packed if MK was on the bill). 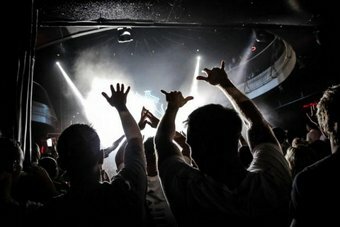 The only thing I personally would like them to change for Insane for next year, seeing as it’s an underground night where artists take the crowd on a journey and DJ sets should evolve slowly but steadily, is that they allow the DJs to play longer than the 90 or sometimes even only 60 minutes. Book one DJ less and give the rest a longer set to play – your punters will be grateful. Thank you! Pacha on a Saturday night will probably always work no matter what night you put on – it’s just a ritual for many people to hit Pacha for a bit of Saturday night fever. But it needs to be said that with Pure Pacha they’ve found a perfect match. The night worked a treat this season as well, no matter if Bob Sinclar was the headliner or Martin Solveig was the master of ceremony. Pacha doesn’t have a proper club closing party as the others do – because Pacha doesn’t really close! It’s the only of the big clubs staying open all winter (albeit only on weekends and eves before public holidays). 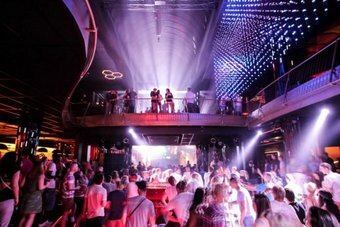 So if you want to hit Pacha one more time during closings season, you have a wide choice of nights to go, especially as they’ve just added one more week to their programme (daily open until 11th October now – just have a look at the calendar). 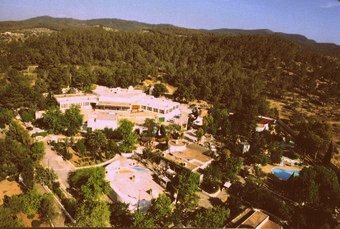 For anyone that understands just a little about the clubbing industry on Ibiza, it was very clear right from the start that it wouldn’t be an easy season for the second San Rafael superclub. Privilege’s two biggest nights of the past few summers had left to Playa d’en Bossa (A State Of Trance – off to Ushuaïa and ElRow – off to Space). Beloved ‘Privi’ suddenly found itself without one huge artist-led night and in dire need of a few good nights that brought in the numbers. But with a lot of years of experience, the people behind Privilege are used to having to fight hard for success…and so they did! On Mondays they brought in Neonsplash. One could argue it’s a copy of Glow in Es Paradis (which it technically is), but Neonsplash is a promoter that has been doing neon paint parties in various European countries for a while already. The sound for the paint war was brought by artists like Fedde Le Grand, Deniz Koyu, Thomas Gold and Danny Avila. The night exceeded the club’s own expectations and was the second busiest night of the week. Having no more trance night after Armin van Buuren had left Privilege, Driftwood boat party organiser Sam Mitcham jumped in to fill the space and Sunk was born. The night happened in the Vista Club on Tuesdays and a lot of good trance DJs were presented (Andy Moor, Solarstone, Giuseppe Ottaviani, Menno De Jong etc). The Vista Club got busy enough on most dates, though I think that with pure trance music it’s currently pretty hard to pull enough numbers on the island. 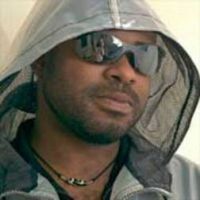 In many of the other trance nights this summer you got a mixture of trance and electro house beats to please the crowd. This is a shame if you are a proper trance fan (because if you’re a purist you don’t want any electro mixed with your trance) but, at least in Ibiza, it’s a sign of the times. Reverse on Wednesdays. The alien-themed tech night was also home in the Vista Club. Going up against Tribal Sessions and Paradise on the same night, who both were similar musically (Paradise depending on the date), Reverse had no easy game but, considering this, they did pretty well. On Thursdays, bass music was on the menue at Privilege with MASS BASS. Some really interesting line-ups there, Four Tet, Borgore, Friction, Gesaffelstein et al. But the two dates that worked best were the ones when Dada Life came in and mixed things up and played more EDM than bass. Let’s also mention the suprise acts on a few dates – bothSteve Aoki and Skrillex suddenly appeared unannounced at Mass Bass. The night closed a few weeks early and then there were a few YOLO nights on Thursdays, which had done OK the year before. SupermartXé on Fridays was by far the busiest and most successful night at Privilege this summer, just as in the past few years. It was also the only night of the week you could go and experience Privilege in all its glory – meaning all rooms open and busy, the whole place buzzing with atmosphere. SupermartXé traditionally also accounts for some of the best shows on the island – it’s a must see for any Ibiza virgin, even more so this year when on the other nights not the whole venue was opened. The Pharm on Saturdays was Privilege’s reply to ElRow’s departure to Space. Another new brand at Privilege and on the island, the farmers brought artists like Dominik Eulberg, Agoria and hot Spanish duo Los Suruba to the Vista Club. Again, considering it was a new night, it’s done OK. The world’s biggest club was then shut on Sunday nights. Looking back, I think Privilege has done alright, always considering they had not one single night that was let by a top 20 DJ and their whole week (except SuperMartXé) was based on new parties. Of course team Privi should try to get one huge name in for a full summer residency next year, but apart from that, most of the new nights have potential to grow. Privilege closes out its 2014 season with a joint closing party together with SuperMartXé on Friday 3rd October. Go check it out if you’re here! Remember what I said about Sankeys in our season preview before the summer? I quoted Mahatma Ghandi’s ‘first they ignore you, then they laugh at you, then they fight you, then you win’. In this respect, plain and simple, Sankeys did win. In their fourth season, 5 of their 7 weekly nights did really well and overall had a very consistent season. The Sankeys week started with their busiest night; Duke Dumont’s Blasé Boys Club on Mondays was an instant winner. It’s not so surprising that this night did really well, seeing that it was the least underground of all Sankeys nights, but the numbers this night brought in were really great. Tuesday was FUSEday this year, but sadly the London promoter couldn’t really build on last year’s success. The change to a Tuesday night residency turned out to be unfavourable for FUSE because of a combination of reasons: stronger competition than last summer with Coxy, Defected and Together all on the same night was one point, but what really helped FUSE last season were all the tINI & the gang punters that came to Sankeys to carry on week after week. tINI continued doing her beach party at Sands on Wednesdays this summer, which sadly meant that this supporter group simply wasn’t there for FUSE, so overall it was less busy than in 2013. Wednesday was certainly the most exciting day in Sankeys’ weekly menue. Brought back to life 14 years after birth, Tribal Sessions was one of the most-hyped parties in the run-up to the summer. Unsurprisingly it quickly turned into a locals and workers favourite, but it was by far not just a ‘workers party’. Presented were a whole host of underground DJs that didn’t play any other island venues this year such as Len Faki, Rødhåd and the original Tribal Sessions resident DJ Greg Vickers. 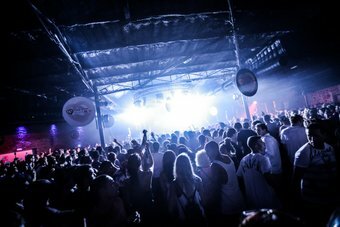 Then there were of course a lot of big calibre acts like DJ Sneak, Mario Basanov, Danny Tenaglia and Hot Since 82 plus weekly resident Darius Syrossian. Add to that the legendary 10th September date with detroit legends Jeff Mills and Derrick May both playing and you had one of the most interesting nights musically of the summer. Amine Edge & Dance brought their new night CUFF to Sankeys on Thursdays and this was one of the surprises of the summer. 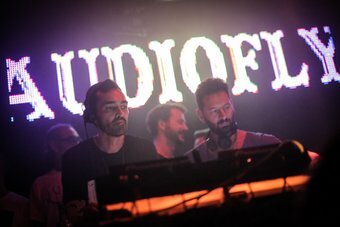 The french pioneers behind the G-House movement were enjoying a meteoric rise on Ibiza and Sankeys’ basement floor had to withstand A LOT of shuffling on Thursday nights. Saturday night was another positive surprise. After doing a few one-offs last year, Magna Carta had a decent first proper season residency. Often people also continued at Magna Carta once ANTS at Ushuaïa had finished. Last, but definitely not least, VIVa Warriors on Sunday. Keeping his Sunday night slot, chief warrior Steve Lawler successfully led his relentless brigades Sunday after Sunday. Not only was VIVa busier than last year (second busiest night of the week I think), also the worker/tourist ratio changed a bit in favour of the promoter. Sankeys closes out its 2014 Ibiza season with two parties after the big closing weekend: on Tuesday 7th October, Ricardo Villalobos and the Romanians (RPR Soundsystem; Rhadoo, Raresh and Petre Inspirescu) headline Next Wave‘s closing bash and the day after, on Wednesday 8th October, Sankeys holds its own closing party, celebrating a very successful fourth summer on the White Isle and 20 years of global existence. Duke Dumont, Amine Edge & DANCE, DJ Sneak are all coming plus lots more. See you there! Beloved Space turned 25 this year! Its anniversary summer was generally a very good one, though the season kick-off was a bit under par – let’s be honest, even though it was a very busy event, the line-up for the Space opening party 2014 wasn’t one to write home about. But they made up for it: the Space 25th anniversary party in mid-July was a lovely event (the live flamenco dance performance is a moment I won’t forget in a hurry) and the artist list for the Space closing party next Sunday is much more what you’d expect of the World’s Best Club (and don’t forget, there are still a good few names still to be announced and added to the line up on 3rd October). The Space week traditionally began with one of their more low key events, but Café Olédid OK and of course the two nights with Dita von Teese performing were summer highlights. Tuesdays are all about Carl Cox. Coxy’s season was the longest one ever, having added two weeks and running for 14 instead of the usual 12 week stint. Having the world’s number one DJ Hardwell performing at Ushuaïa next door and having more competition than ever, you might expect this to affect Coxy’s night a lot, but that wasn’t the case. Tuesday night continued as the busiest of the week for Space. ENTER. on Thursdays. Richie Hawtin’s night went for round three this summer and, speaking about their artist roster, it was easily their biggest season yet. Huge line-ups week in week out – not a single Thursday a techno or tech house fan would think ‘nah, nothing interesting here’. But numbers wise I don’t think ENTER. actually grew. Some dates were extremely busy, but then again there were also a few on the quiet side of things. What’s interesting is that there have already been a few people commenting and saying that the spark had worn off a bit. I guess for the first two ENTER. seasons, they profited extremely from being ‘new’ – and hats off to team ENTER., they’ve done everything right! But this summer, a lot of people who went to ENTER. already had gone last year or the year before so it’s understandable the excitement level as such isn’t as high and the black dot cultno longer a novelty. I need to add though that ENTER. continues to be one of the best run nights, with a lot of attention paid to every single detail – and of course the music is great! I guess the initial hype is over and it’s about consolidating now. Friday nights at Space took a different musical turn this summer, with their home made night Clandestin merging with Ferry Corsten’s Full On brand and therefore suddenly sounding trancey! It wasn’t trance only, the night also had some EDM influences, but overall the party did well. The second change of the Space week apart from Ferry Corsten coming to Playa d’en Bossa was ElRow also moving to Space. Saturday nights were a joint party with ElRow ruling the discoteca and Space’s very own Kehakuma over on the terraza. The discoteca was mostly perfectly busy and included of course the already famous ElRow tomfoolery – fancy dress, tons of inflatables, great performances, the whole lot. Over on the terraza things were a lot more serious though, as Kehakuma always fine-tune the experience down to the one (most important) thing – the music. And while on most weeks the DJ line-ups in both rooms were very good, sometimes brilliant even on the Kehakuma page, there weren’t always enough people in Space to fill both dancefloors. The winner of this internal battle was always ElRow. And while I totally understand why ElRow has done so well (they’ve made everything right! ), my music lover’s heart bled seeing the Kehakuma terraza not that busy on some dates. I also need to add that it was a bit of an odd pairing with ElRow being the biggest funhouse on the island and Kehakuma being one of the ‘coolest’, most minimalist parties. Space ended its week the same way it has for years, with We Love. It wasn’t all the same though at We Love as the heads behind the project had changed – Mark and Sarah Broadbent had left after last season and in jumped Safehouse, the agency also running Carl Cox’ night. Together with Andy Livesey and Darren Hughes from the original We Love family, they put together We Love this summer. A few years back, Ibiza was all about We Love on Sundays, but this season the night faced bigger competition than ever before: Avicii next door, VIVa Warriors 5 walking minutes away, Solomun+1 at Pacha and the new successful Amnesia Presents party were all strong competitors. But with a very smart programming, going down a more mainstream route on some dates, We Love could hold its own. Yes, there were definitely a few Sundays which weren’t packed, but on the other hand there were also a handful of dates (all four Disclosure shows plus the Loco Dice birthday takeover) when Space was a lot busier than I’d gotten used to over the last few years. So, considering the competition, overall We Love had a good, stable year of growth. This year’s Space closing fiesta happens next Sunday 5th October. Starting from 4:30pm and running until around noon time on Monday morning, this is one last big festivals made in Space. Make sure you’re there early so you can experience the car park dancefloor (pre-sale ticket holders have to be in by 9pm anyway! ), re-charge your batteries in El Salon for a while after midnight and then close out Space 2014 with Coxy B2B Nic Fanciulli from 7am onwards on the Terraza. Promised Land anyone? Ushuaïa had a very successful summer of 2014. Their weekly line-up was as star-studded as ever (no, actually even more than ever before) and having the biggest names in the electro house world, it’s no surprise the club generally worked a treat. David Guetta kept his Monday slot and did extremely well as ever, with most dates being sold out or close to it. It was definitely also the best-produced event at the venue. I for one must say I understand why people prefer to go see Monsieur Guetta at Ushuaïa than in Pacha: tickets were cheaper (20-25€ difference, that’s three drinks between two people!) and the show was on a larger scale. Tuesdays belonged to the new ‘World’s number one DJ’ – Hardwell. Now, I’m not saying this new residency wasn’t a success overall, but at the same time I will say that it wasn’t quite the banger people expected it to be. A few dates were definitely on the quieter side of things and the show elements – quintessential at a venue like Ushuaïa – did not live up to the expectations, especially if you’ve seen other shows at the same club. That said, I also think it’s not the easiest task to make every night work if you present the very same music style four nights in a row, so it’s understandable the newest party has the toughest job. Wednesday was a very good day for Ushuaïa – Axwell and Ingrosso’s Departures was back and bigger than ever. They have a very loyal fanbase, the duo always puts on a great show and it’s all very well presented. Having Kiesza, Oliver Heldens and Martin Garrix as special guests this season obviously also helped! All in all, a very solid summer for team Departures – well done. The second novelty of the Ushuaïa week was their first ever trance music party. 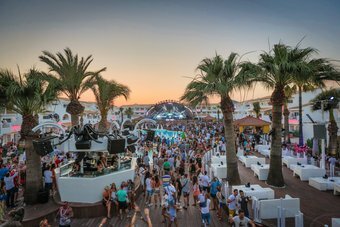 And it was not just any trance DJ that graced Ushuaïa’s stage on Thursdays: Armin van Buuren and his A State Of Trance event series moved to Playa d’en Bossa this summer. Most dates were very busy and overall the residency has done OK. As with Hardwell though, I don’t think it was an outstanding success. What’s interesting here is that we spoke to a lot of punters and the feedback couldn’t have been more different: while some of them loved and very much welcomed Armin’s move to an outdoor venue, others simply couldn’t warm to the idea of a trance event in the evening. I understand both opinions – outdoor raving is always great, but it’s also true that trance is much more‘4am music’ than anything else. And I stick to what I said at the start of the summer: having both ASOT and Cream on the same night didn’t help either of them – even though you theoretically could make it to both events. 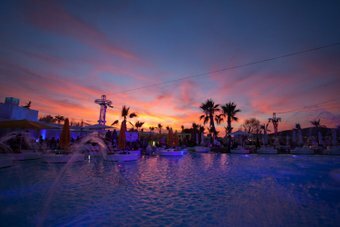 Friday was mostly a night off at Ushuaïa this year, apart from a few live shows – read on for those. Saturday has become the ‘underground day’ at Ushuaïa. ANTS went into its second season and has really evolved this summer! Being the only party that championed the tech house and tech sound at Ushuaïa all summer (apart from the late season La Familiadates which also did alright) and offering the cheapest tickets of the whole week, ANTS was positioned well to start with and did a great job thereafter. While the other Ushuaïa events normally sell pretty easy due to having one huge name, with ANTS it’s different. They don’t get the biggest names of their musical world (simply because all those guys have their own nights on the island), yet they still present an interesting line-up, hats off. Apart from the almost weekly resident Andrea Oliva, lots of top acts of this genre came to Ushuaïa: Hot Since 82, Deetron, Maya Jane Coles, Stacey Pullen, Timo Maas – just to name a few. Good stuff. The Ushuaïa week ended with their biggest event – Avicii’s residency. Tim Bergling only did 7 shows this summer, but all of them were sell-outs and simply a great show. Those seven Avicii Sundays were easily some of the biggest events on the island this season. It’s also refreshing to see unexpected curveballs like Icona Pop and Wyclef Jean appeared on his line-up. Over to the new Hard Rock Hotel now. When their line ups came out, the general reaction on the island was ‘where’s the rock please?’ Because for their live music series, they presented a bit of everything really, and only one concert (Placebo) actually qualified as a rock show. 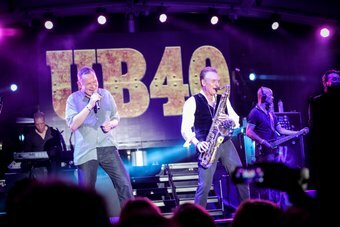 Over the course of the summer, we mainly got pop music (Robin Thicke, Kylie Minogue, Icona Pop, Ellie Goulding), some funk (Chic with the matchless Nile Rodgers, who saved the opening party) and a bit of reggae (UB40). The outcome of those concerts was a divisive subject. The two biggest shows of the summer were Snoop Dogg’s Ibiza 2014 visit (not just the show, but also the saga behind getting him to the island!) and the closing party of the ‘This Is Hard Rock Hotel’ series with The Prodigy. Both those gigs actually happened at Ushuaïa next door for capacity reasons and The Prodigy show especially DID rock. A lot. I guess it was pretty much a trial season for Hard Rock Hotel to see what’s hot and what’s not in Ibiza. And while some were disappointed that all those massive rumoured gigs (Prince, Madonna, U2, Rihanna, Depeche Mode) didn’t come to pass this year (there’s always 2015), I do welcome the fact there was more live music than ever before on the island. As much as I’m a die-hard dance music fan, it can only be a good thing if Ibiza’s musical horizon broadens further. The last event of the group is the by now already traditional Ushuaïa closing party onSaturday 4th October. As you might know, this is one of the few opportunities over the whole season when Ushuaïa stays open until past midnight. Headlining this year’s closing is Signor Music On, Marco Carola. He’ll play a mammoth set and the only support DJ is the aforementioned ANTS champ Andrea Oliva. It’s a pretty bold decision getting Carola for Ushuaïa closing as he (being the underground don) and the pretty flashy and glitzy venue are an extremely odd pairing. But to be honest, most of the closing party crowd doesn’t want Avicii or Guetta anyway, so you can be sure Ushuaïa is going to be packed as usual.